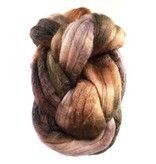 Your hands will sing as you spin your way through a 4 ounce braid of Frabjous Fibers Lucky Baaahboo. Made from an elegant blend of superwash merino wool, bamboo, and nylon that is handled with care to ensure that it is lofty and easily drafted. 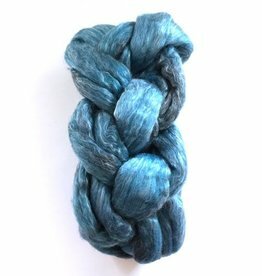 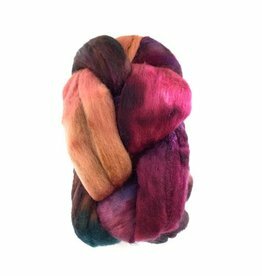 The hand dyed colors are created through a kettle dye processes using professional textile dyes. 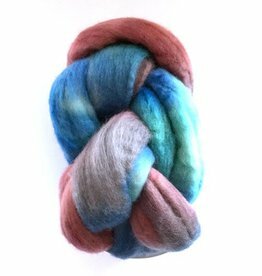 This fiber will be a dream to work with on both traditional spinning wheels and drop spindles.